Lakewood, Colo., — June 7, 2017 – When it comes to learning about shooting and firearms ownership, not knowing where to start can be an intimidating hurdle for newcomers. The National Shooting Sports Foundation (NSSF) is partnering with Bristlecone Shooting, Training, and Retail Center to offer Denver–area residents a welcoming introduction to the safe, recreational use of handguns. Through a program called First Shots, first-time shooters can attend free half-day sessions composed of classroom and range time. First Shots will take place at Bristlecone on June 17th with three different sessions available; 9 a.m., 10 a.m. and 11 a.m. Pre-registration is required. “First Shots is a fantastic opportunity for the public to learn from professionals exactly what gun ownership and the shooting sports are all about. It’s also a chance to give shooting a try,” said Jacquelyn Clark, owner of Bristlecone Shooting, Training, and Retail Center. First Shots provides the public with a chance to learn the rules and requirements of handgun ownership along with comprehensive information on safety, shooting sports opportunities, individual and group training, and range access. It also answers new shooters’ questions regarding firearms and firearm ownership and provides them an opportunity to give shooting a try. First Shots is one of many NSSF programs working to increase awareness of and participation in the shooting sports. For more information on First Shots, visit nssf.org/firstshots. NSSF, founded in 1961, is the trade association for the firearms and recreational shooting sports industry and promotes the safe ownership and responsible use of products its members make and sell. For more information, visit nssf.org. 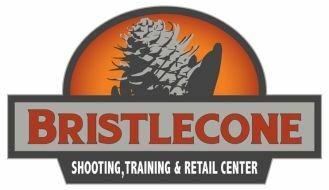 To pre-register for First Shots at Bristlecone visit https://bristleconeshooting.com/gun-classes/. Bristlecone Shooting, Training, and Retail Center in Lakewood, Colo., is the premier indoor shooting range in the Denver area. Bristlecone caters to recreational shooters of all levels, from first-timers to life-long enthusiasts. Not your typical Colorado indoor shooting range, Bristlecone offers many of the great services that you would expect from a traditional shooting range but in a bright, welcoming atmosphere with an emphasis on customer service. Bristlecone’s mission is to make everyone feel welcome and help you have “An Extraordinary Recreational Experience.” To learn more about Bristlecone Shooting, Training, and Retail Center call 303-985-0989.